Frank Lampard has backed former side Chelsea to overcome their inconsistent form and display the "resilience" all major clubs have. The ex-Blues midfielder, who won all major domestic and European honours during his 13-year association at Stamford Bridge, admitted Chelsea's heavy 6-0 away defeat against league champions Manchester City on Sunday was a "shock". Chelsea have lost their last four away matches in all competitions, without scoring a goal in the process, but Lampard says the performance by Pep Guardiola's side should not be ignored. "With my Chelsea hat on, 13 years a player there obviously, you have a feeling for it and it is not easy," said the Derby manager. "It is not nice, and it doesn't happen to Chelsea much so when it does, it is a shock. But let us get it right. "They are going up against an incredible team. I had some time at Manchester City as well so I have some feelings for them. "The work Pep Guardiola and their incredible squad have done is something special, so they [Chelsea] came up against a great team. With all top teams the important thing is that you come back strong - no matter [after] what type of defeat. It is what makes top teams, resilience, and Chelsea as a club will have it. "For Chelsea, it [was] a tough day. I don't have to stay that too much because the people that are living it now - the players, the staff, the fans who travel and follow the team - will be feeling it. "With all top teams, the important thing is that you come back strong - no matter [after] what type of defeat. It is what makes top teams, resilience, and Chelsea as a club will have it." Gary Neville would not be surprised if Maurizio Sarri was sacked after Chelsea's 6-0 thrashing at Man City, but thinks that would be "madness". 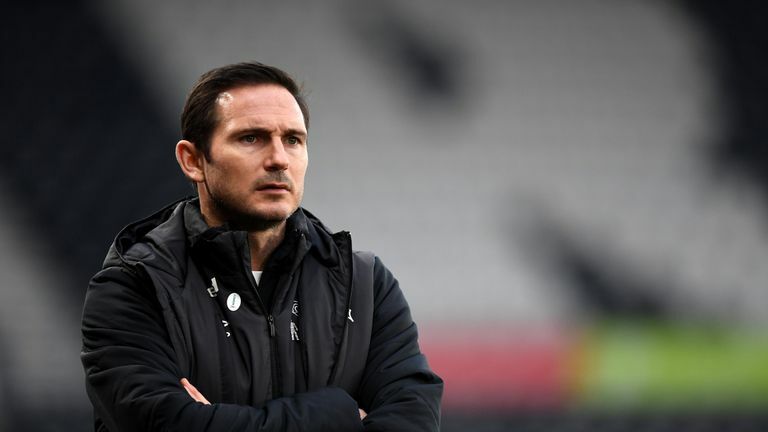 Lampard was appointed Derby boss in his first managerial position last summer and has distanced himself from talk of him returning to the club as a possible replacement to Maurizio Sarri, after he was installed as the bookmakers' favourite, should the Italian be sacked. "Bookmakers are not always right for starters!" he said. "I will never get excited about that. It is certainly a club I respect and a manager that I respect so it wouldn't make me smile or anything different because my job is here. "I am working very hard and my whole thoughts are with Ipswich Town away on Wednesday, and travelling down to Brighton in the FA Cup at the weekend. "I obviously follow Chelsea, have huge respect for them, and I hope to see them, put some form together and turn those results around."